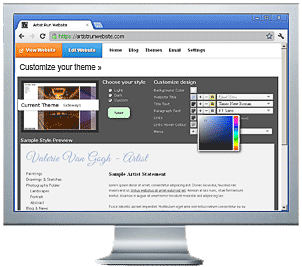 Create your artist website quickly & easily. Made with simplicity. Designed specifically for artists. Quick & easy to update. Perfect for creating biography, artist statement, etc. 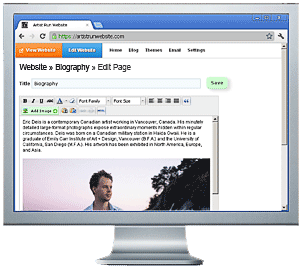 Add images, links, videos, and more. 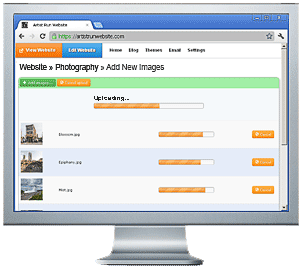 Automatically resizes and prepares your images for online display. No preparation required! Built-in crop tool for perfect thumbnails. Create 'Galleries' to group images by theme or series (eg. landscape, portraits, etc). 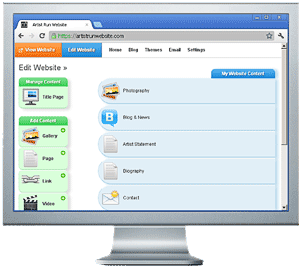 Add titles, detailed descriptions (eg. medium, date, year, etc), and set the price for each image. Impressive contemporary and classic designs. Optimized for maximum visual impact. 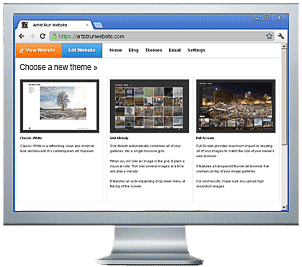 Automatically resizes your images to for perfect display on any screen or device. Built using HTML5, no Flash!. 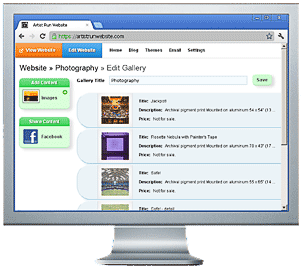 Will work on iPhone, iPads, and other mobile devices. Easily change colours, fonts, and sizes. and make your artwork stand out. Use your custom colour & styles on any theme.